In The Life You Save May Be Your Own, a book about the lives of Dorothy Day, Walker Percy, Flannery O’Connor, and Thomas Merton, author Paul Elie describes learning about the lives of others as an act of pilgrimage. We are moved by a story, and moved in such a way that we desire to take this story that we have heard and somehow transform it into first-hand experience. A pilgrimage is a journey taken in response to a story. For instance, I hear about the activity of Jesus, and choose to somehow make that story my own by journeying to the Holy Land and undergoing the transformation that such a trip to such a place offers. Or I find myself inspired by the work and friendship of C.S. Lewis, J.R.R. Tolkien, and Charles Williams so I make a trip to Oxford and raise a pint in their favorite pub. But sometimes pilgrimages invite not a journey to a physical place, but to a spiritual one. We hear a story and begin to be able to think and live in terms of what we have heard. We are not only moved, but we are moved to a place of greater attention, reverence, and devotion. I have recently begun to hear the stories of two saints, both of whom recently died. Fr. Frans van der Lugt, S.J., was martyred in Syria on April 7th, apparently killed for his refusal to give up on the Syrian people. As violence escalated, Fr. 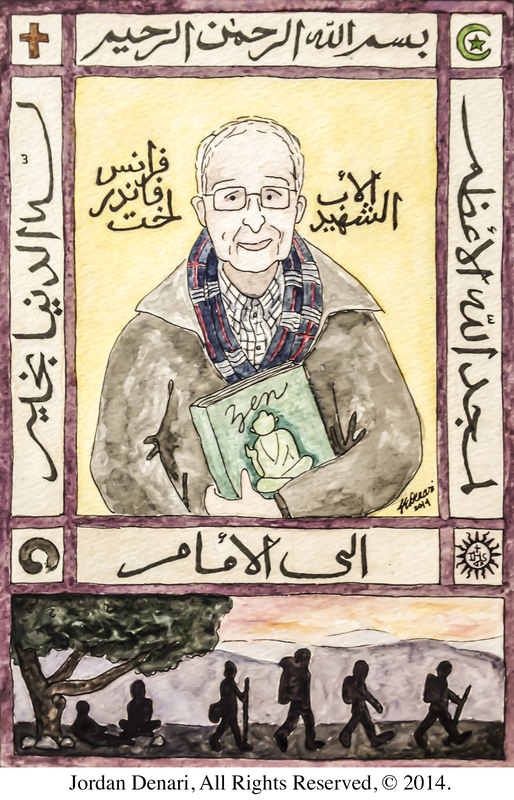 Frans continued his care for the vulnerable, his attention to peace, and his devotion to dialogue. I came to hear of Fr. Frans through the online news sources, and have found hope in both his life and the way that his life and death have opened others to the mysterious grace of God. You can read Fr. Patrick Gilger, S.J.’s reflection on the martyrdom in America Magazine and you can read Jordan Denari’s description of her icon of Fr. Frans on her own page. Dan Lyons died today after a five year fight with cancer. While I’ve met Dan and had a couple of brief conversations with him, I can’t really say I knew him. He was, however, best friends with a close friend of mine, Luke O’Connell. Dan and his wife, Hanna, kept their family and friends informed of the struggles and graces of the last five years through their blog. As Dan’s condition worsened over the past weeks, friends and family took to Facebook to recount their stories of how Dan touched their lives and to remind him of their deep love and gratitude. Theirs are not my stories to tell. Yet I feel the need to tell something of my own pilgrimage—the journey that has begun over the past few weeks while reading of the lives and faith-filled deaths of Fr. Frans and Dan. It began slowly as I noticed that my attention to these stories engendered a contemplative attention to courage, love, and grace in my own life. I found myself asking, How can I live my own life in a way analogous to how they lived theirs? I can’t get those lyrics and that story out of my head. What kind of faith leads to this car ride taken this way? 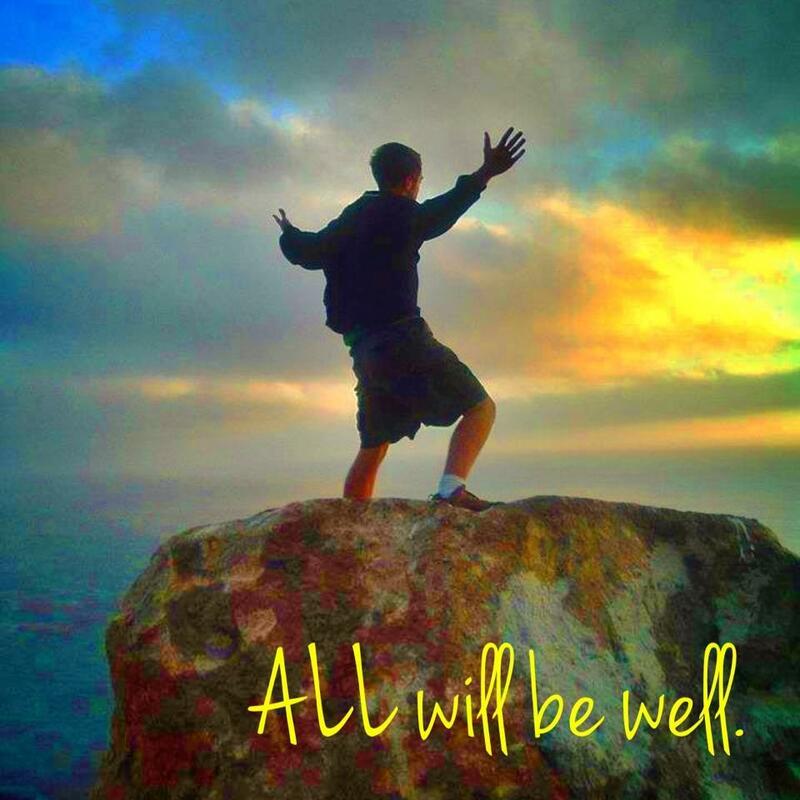 What kind of faith leads Dan to live a life so generously bringing so many people close to God and to embrace a death frightened but holding hopeful to the words of 14th century mystic Julian of Norwich: All will be well? What kind of faith led Fr. Frans to remain devoted to others even as war raged around him? As a theologian, I don’t have any clear answers to these questions. As a Christian, I am comforted by the fact that I don’t need to be able to articulate one because, as Patrick Gilger reminds, “God is the one who breathes life”—God is the one who holds all meaning. But what Fr. Frans and Dan both offer is a glimpse into the fathomless depths of the mystery of God and into the life that is born in and of complete love of that mystery. And such life—made beautiful by love—calls to us. It invites us to begin to think and live in terms of what we have heard. And it encourages us to a renewed attention to the embodied breath of grace in the world, a reverence for the concrete circumstances that open us to this grace, and a hope-filled devotion to the God of resurrection. *You can read Dan’s obituary here. Thank you, Andy, for sharing my icon. I was so sad to hear about Dan Lyon’s death, having remembered Luke speak about their relationship in our senior seminar last year. I also recently listened to the On Being podcast about Paul Elie’s new book, and a friend just gave me some of Flannery O’Conner’s journal entries to read. Lastly, Julian is one of my favorite saints, and her “all will be well” has been a surprising theme in my time in Jordan. So your post was a convergence of things that have meant a lot to me lately. Thank you.